The Office of Admissions is located on the 2nd floor of Waldschmidt Hall. Enter the main campus entrance and continue straight on the main drive as it turns to the left. Waldschmidt is the large, brick building on the left with a round-about in front. Marked parking spots with "Admissions Visitor Only" signs are in front of Waldschmidt Hall, near the round-about. Get directions from the freeway. 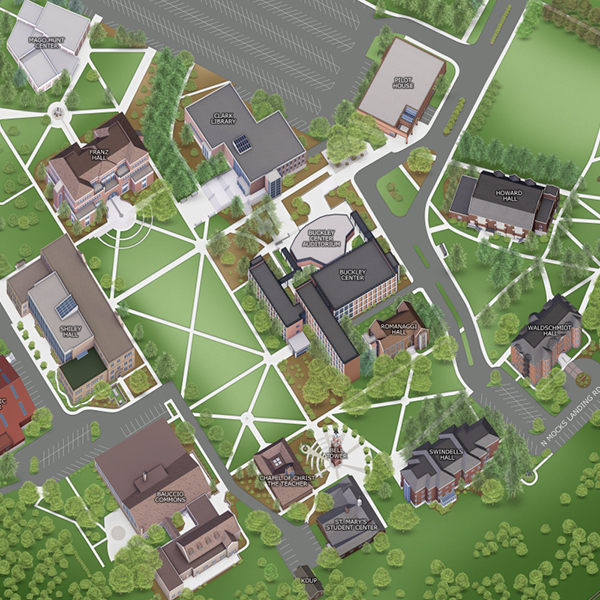 Welcome to University of Portland's interactive campus map. Click anywhere on the image below to get directions to campus or start a virtual tour. Office of Admissions is open Monday-Friday, 8:30 a.m. to 4:30 p.m.